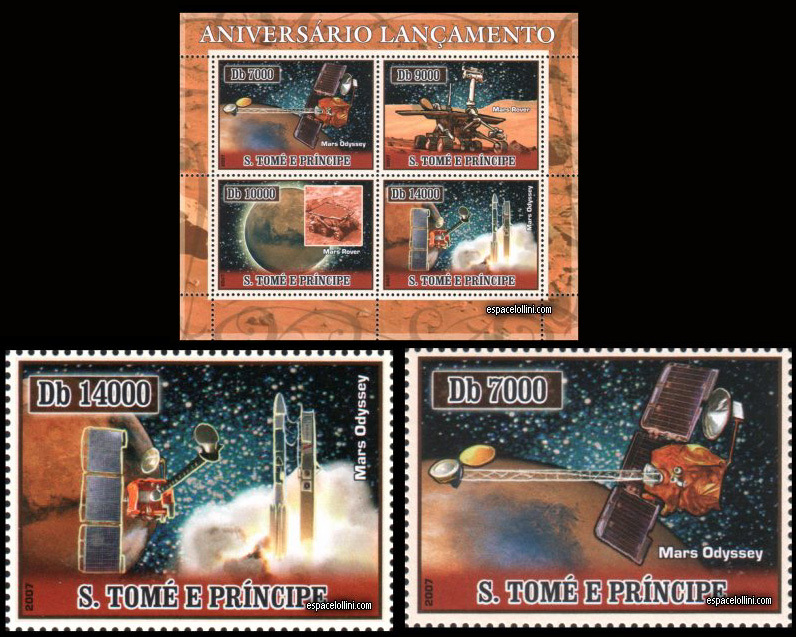 Two of my Mars Odyssey images appear on these stamps issued by the African island nation of Sao Tome and Principe on Feb. 2, 2007. My artwork appears on 2 of these - the stamp in the upper left and the lower right. Left blowup: that stamp has a title: "On A Trip To Cirrus Minor". My Mars Odyssey logo on the rocket is visible. It's the only time it's been on a stamp.